Laura grew up in Connecticut’s quiet corner. She went to undergrad in Rochester, New York and attended law school in Springfield, Massachusetts. After living and working in Fairfield County, Connecticut for five years, Laura and her husband decided to move to Burlington, Vermont, where they usually spend their vacations, hiking the surrounding mountains and swimming in the lake. When she’s not negotiating deals and drafting documents for clients, Laura enjoys hiking, biking and running and has completed a few triathlons. I always knew I wanted to be a transactional attorney – working with clients to achieve a personal goal – whether it’s buying a home, investing in real property, or starting their own businesses. Some of my favorite moments during my practice have been finding creative solutions to problems that have popped up unexpectedly. Closings are my favorite part of a deal as it is usually the culmination of many hours’ hard work and it is great to be a part of the moment when a client has finally accomplished their goal. Getting a client to the finish line is very rewarding. Laura is admitted to practice in the State of Vermont, State of Connecticut and Commonwealth of Massachusetts. 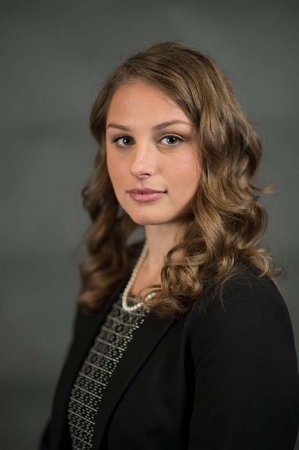 Prior to joining Gale & McAllister, Laura was an associate attorney at a law firm of in Norwalk, Connecticut, assisting clients with commercial and residential real estate, business law, and estate planning. The majority of Laura’s practice focuses on representing clients in commercial and residential real estate matters as well as corporate matters. Laura has represented clients buying their first homes, client’s purchasing multi-million dollar apartment complexes, clients starting their own businesses, and clients investing in various ventures, whether real property related or business related. Laura’s experience extends to forming entities, from single member limited liability companies, to corporations, to negotiating complex operating agreements for investor clients. She’s also worked with both employers and employees in drafting and reviewing employment agreements, independent contractor agreements, service agreements and severance agreements. Laura has also represented individuals in drafting estate planning documents. While in law school, Laura was a clinical intern at the Small Business Clinic at Western New England School of Law where she represented local small businesses with intellectual property research, employment work and entity formations. She also worked as a clinical intern at the Yale Law School Jerome N. Frank Legal Services Organization, where she represented clients in the Landlord -Tenant Clinic and the Mortgage Foreclosure Clinic. Laura was a member of and the Assistant Articles Editor of the Western New England Law Review during law school and received the Benjamin D. Novak Award in 2012 for outstanding writing. “Don’t Forget About the Orphans: A Look at a (Better) Legislative Solution to the Orphan Work Problem” 34 W. New Eng. L.R. 537 (2012). “Important Intangibles: Confidence, Management and Expectations” 37 W. New Eng. L.R. 155 (2015).